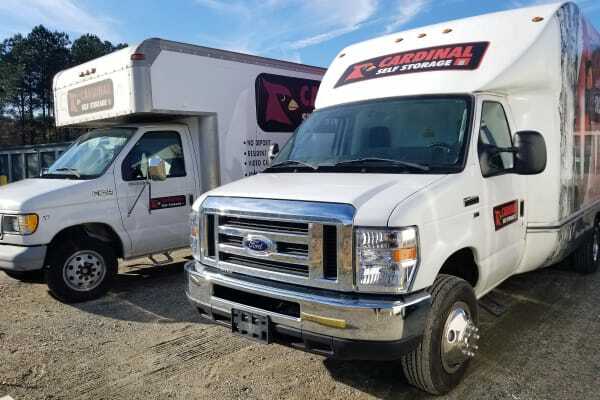 Simplify your moving day with a moving truck rental from Cardinal Self Storage - Wilmington. Our Wilmington, NC, moving trucks are well-maintained and simple to drive. We make it easy for you to move into your new storage unit or your new home. Draw up a packing plan. Make an inventory of the things to be moved and put it all on paper or in a document before beginning the actual work. A little planning will save time and stress, guaranteed. Cover everything with furniture pads or other coverings to protect corners and offer a buffer between pieces. Use tie-downs and belts wherever you can to keep items in place. Pack the van or truck in four parts, making sure one section is secure before moving on to the next. Pack the heaviest things first, up front nearest the driver. Pack furniture such as tables and chairs near the rear, along with unusually shaped objects.